Start out with damp hair, not to wet because then your hair is going to be wet in the morning and then the curls are going to fall out. 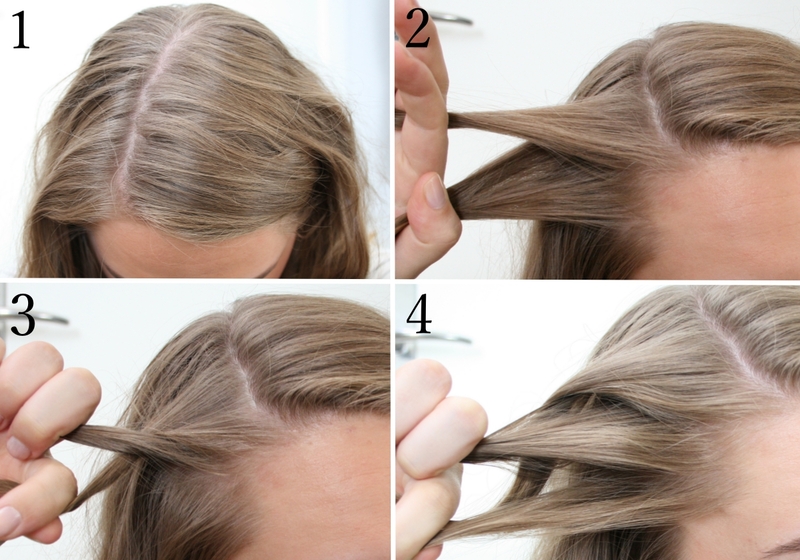 Your hair should be about 80% dry and 20% wet, then when you wake up, your hair is completely dry. 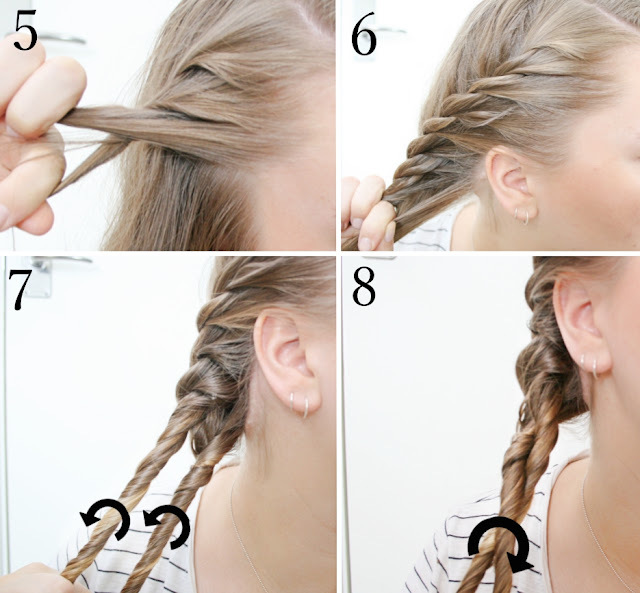 Then part your hair where you like it to be and towards the back of your head, part it down the middle, then follow these steps. If it's difficult to see what I'm doing in the pictures, just imagine you splitting your hair into 2 sections, twist the sections around each other once, add a piece of hair to one of the sections, from underneath the twist (now one of the sections should have more hair in it, than the other), now twist them around each other once, add a piece of hair to the other section, from underneath the twist (now each section should have the same amount of hair again), and twist them around each other. Then you keep going until you have gathered all your hair into to big sections. Now it's time for a rope braid (this can be a little tricky in the beginning). You are going to twist each section of hair around itself, both sections going in the same direction, so both going clockwise around itself. 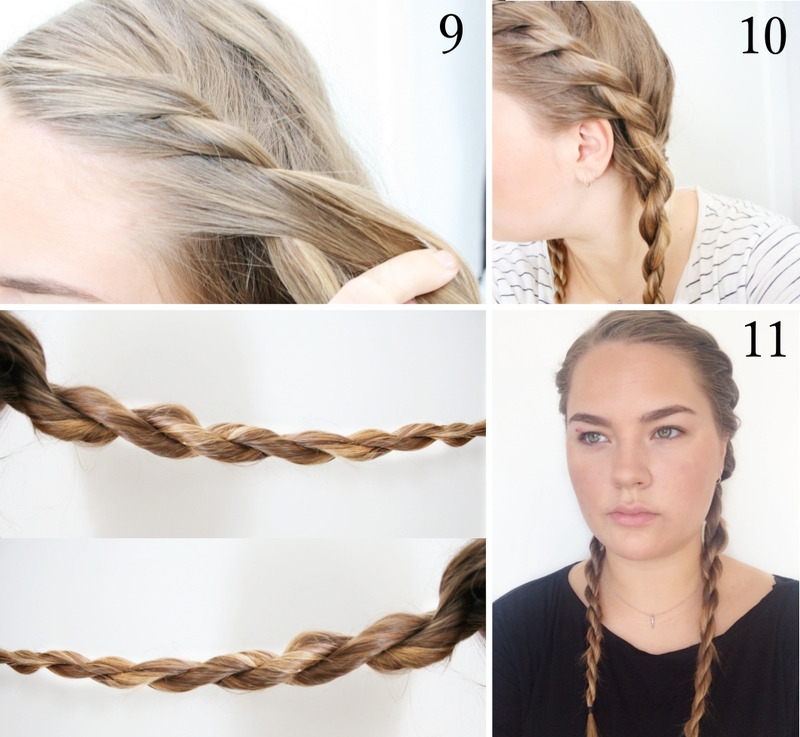 When the two sections of hair are completely twisted, you are going to twist them together, going counterclockwise all the way to the bottom of your hair. Then tie the ends together, that way the twist won't unravel while you sleep. In the morning, simply just untie the twist, DON'T BRUSH YOUR HAIR! If you do so you hair might get extremely frizzy, so softly finger comb your hair. I like to spray the curls with salt water spray and then scrunch my hair, for extra volume and messiness. 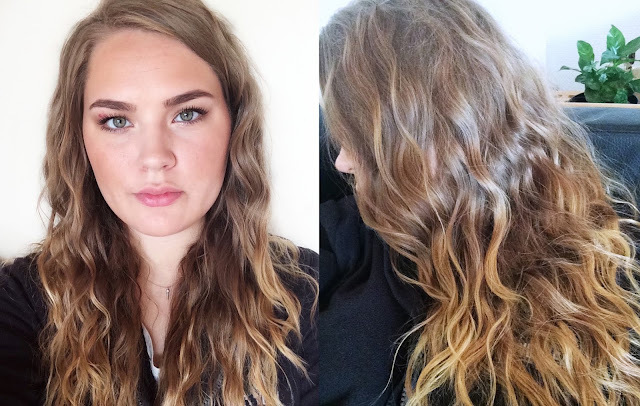 When you get the hang of the twist, this only takes about 1 minute and this hairstyle is both going to make your mornings so much easier, because you don't really have to do anything to it and it's going to last for days!